USDCAD failed to break above 1.3402 resistance and stayed in a trading range between 1.3283 and 1.3402. 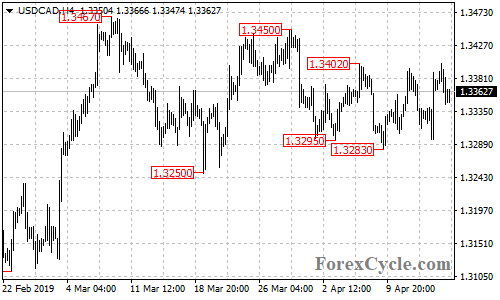 Another fall to test 1.3283 support would likely be seen in the coming days, a breakdown below this level could trigger further downside movement towards 1.3200. Resistance is at 1.3402, a break of this level would aim 1.3450 area.